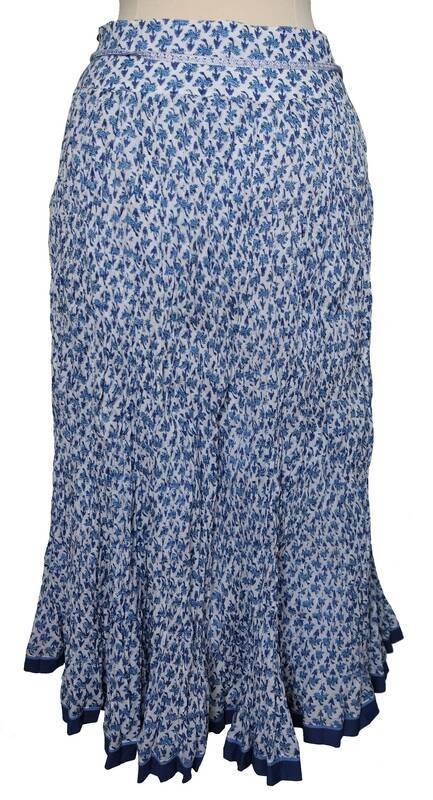 Fabulous long crinkly skirt with additional gathered hem border. 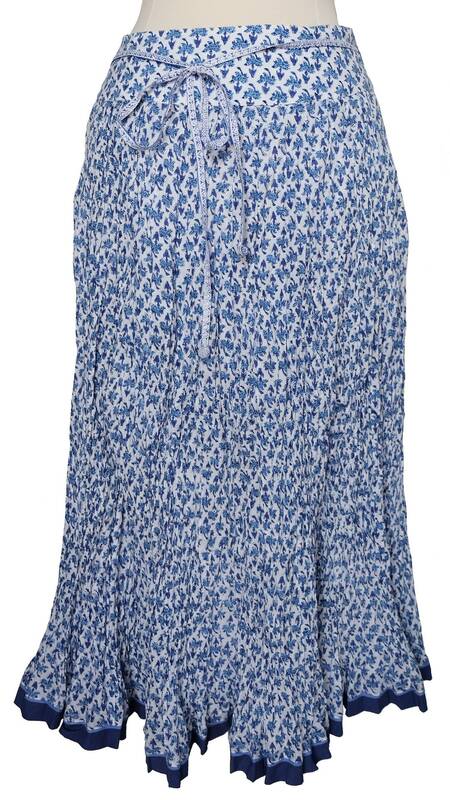 Ideal for traveling, just scrunch it up and throw it in the suitcase, it never needs ironing. The skirt can be dressed up for an evening out or dressed down for the beach, made from light weight cotton with a soft cotton lining. 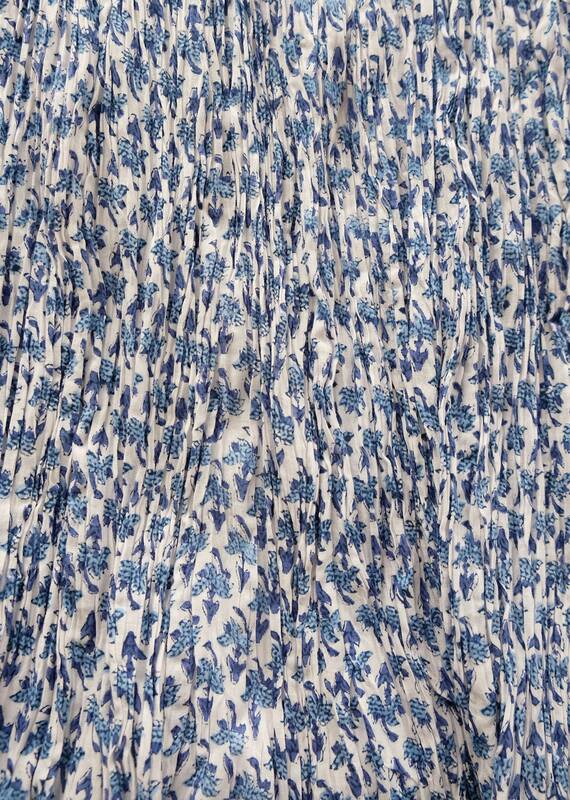 The skirt has an additional thin belt and then skirt fabric has silver print highlights.